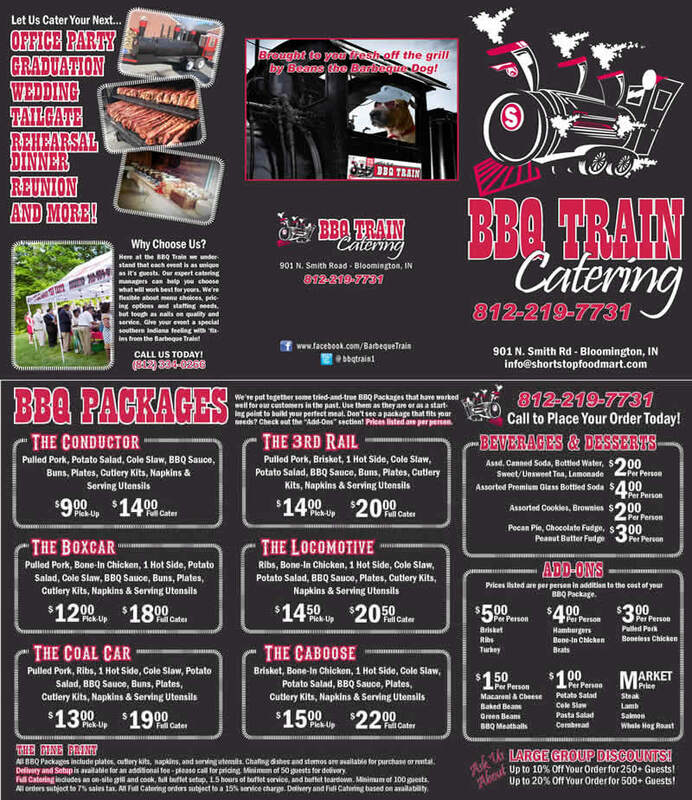 BBQ Train Event Catering – Bloomington Indiana. 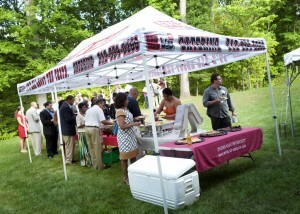 Let us cater your next event with scrumptious Southern Indiana favorites from the Barbeque Train. We specialize in delicious ribs, pulled pork, chicken, burgers and hot dogs all prepared on the grill just before your event. All side dishes (cole slaw, potato salad, beans) are homemade with locally purchased produce. We can feed groups from 10 to 5000 located anywhere within Monroe County. Short Stop Food Mart is your locally owned neighborhood grocery located at the corner of North Smith Road and 10th Street. Give your event a special southern Indiana feeling with fixin’s from the Barbeque Train.